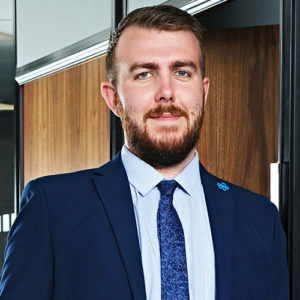 Concentrating in Personal Injury, Clinical Negligence and Court of Protection matters, Matthew’s role is to draft Bills of Costs, Schedules of Costs, prepare Points of Dispute and Points of Reply, and undertake negotiations. Prior to joining the MRN team in 2014, Matthew began his legal career at Linder Myers in 2011 before working as a Costs Draftsman at two large North West Law firms, specialising in matters of Personal Injury and Clinical Negligence. He is currently partaking in his CILEx course to become a Legal Executive and further his career. He prides himself on being able to recover a high percentage on his Bills, once recovering 98% from a matter with the NHS. In a recent animal case where the Claimant was injured by a dog, Matthew secured an interim payment of 45%. Following his strong Points of Reply, the Defendant party increased their offer by 82% with the case settling at only £250 less than Matthew’s original Part 36 offer. Matthew is motivated by maximising returns for clients and settling a matter, and finds great interest in reading each file to thoroughly understand each case and provide quality advice to his clients. When out of the office, Matthew can be found exploring the beauty of his home area in the Peak District or volunteering his time at a Mental Health institution.